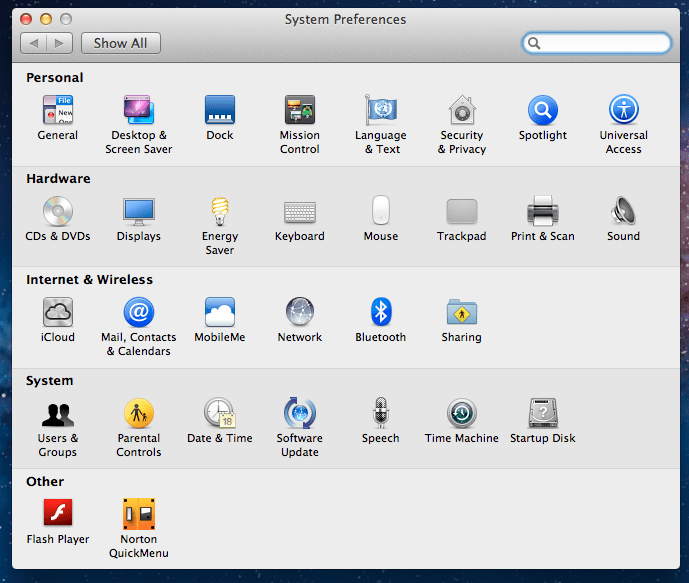 In Mac OS X Lion, you may notice that when you scroll up or down, using two fingers on the trackpad, the content of the page scrolls up or down, instead of the window around the content. 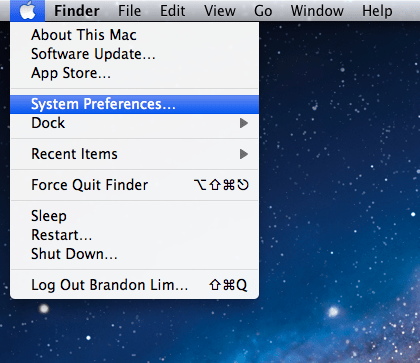 Mac OS X Lion adopted the iOS approach to scrolling, so if you move your fingers up, the page is moved up. In many cases, this is more convenient and more natural, but for some, they may prefer the old way of scrolling instead. I will break down the process of how to change the scrolling. If you are not using a trackpad or Magic Mouse, go to the Mouse options and uncheck “Move content in the direction of finger movement when scrolling and navigating”. 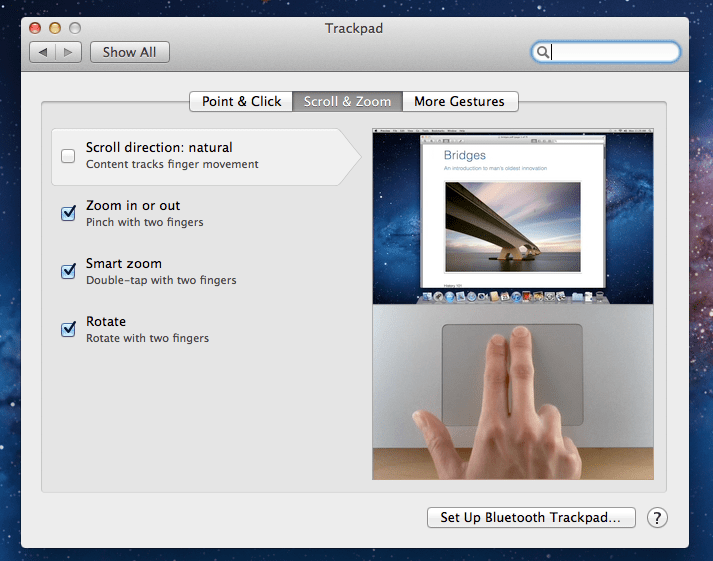 If you are using a trackpad or Magic Mouse, here is how to do it. 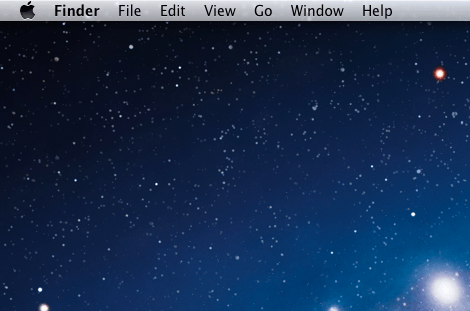 First, click on on the Apple logo on the top left of your screen. There you go. You are now free to scroll however you like. Feel free to leave comments and suggestions on which way of scrolling you prefer.